We pride ourselves on bringing you the freshest, most delicious produce at affordable prices. 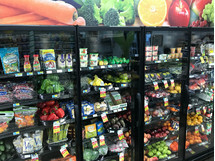 Every season brings new produce to our aisles. We invite you to visit with us - we will point out the season's best varieties. We also have a large variety of canning supplies and in season locally grown produce.